Dear oh dear. Where do I start? This was shockingly bad. 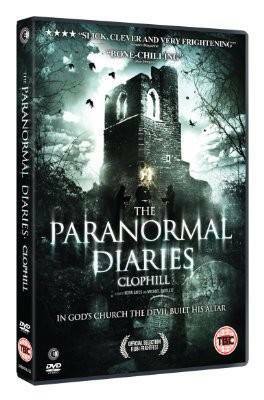 It involves a group of ‘paranormal investigators’ who get together to do investigate a ruined church in Clophill. Everything about this is bad. It’s done documentary style, interspersed with talking head segments. 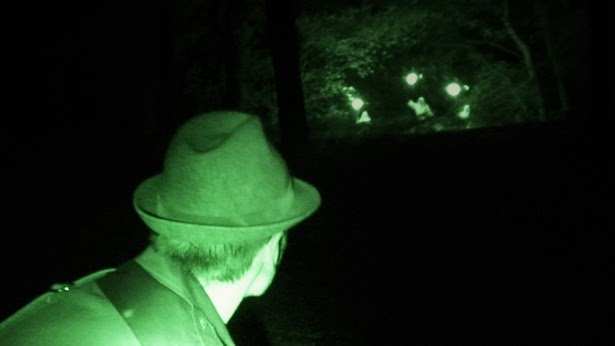 The group get to Clophill and interview some locals before it all goes a bit ‘Blair Witch’. The acting…if you can call it that is amateurish at best. It’s like an episode of Most Haunted, a very bad episode of Most Haunted. The whole thing felt pointless from beginning to end. Special features on the DVD were commentary from director Kevin Gates, cast & crew commentary, deleted scenes and a trailer. Maybe worth a watch if this sort of thing does it for you, but set phasers to ‘distinctly underwhelmed’. The copy of Paranormal Diaries: Clophill was graciously provided by the kind folks over at www.facebook.com/SecondSightFilms. The film is available to buy on October 14th from all good retailers. Well that’s your opinion Keith, of which you are entitled. It is acting however as they are reacting to situations that aren’t real. It’s not actually happening. Yes some of the information is factual, but to say it’s real, is like saying ghosts are real. I’ve listened to the commentary track and read interviews and a lot of the characters are ‘reacting’ to stuff around them for real for the most part – not acting. Are you telling me you think that security guard is acting? i think the film is a bit love/hate but I’m afraid you’re wrong on the acting front. Well I guess I must be wrong.